After a fantastic 2012 and a strong start to the new year, Arrow Video have today unveiled their home entertainment slate for the forthcoming second quarter of 2013. Arrow Video will be giving hidden classics their UK debuts, as well as breathing new life into cult masterpieces by restoring them especially for Blu-ray, and they will unearth more extras, deleted scenes, special features, exclusive content and collector’s items than ever before! For more info on these, and other forthcoming Arrow releases, including what extras will be included on these, click "HERE". House at the End of the Street - Out on UK Disc Next Week! Just a reminder that terror will hit home and have you running scared when the chilling "HOUSE AT THE END OF THE STREET" is released on Blu-ray, DVD and digital download on 28 January. Academy Award nominee Jennifer Lawrence (The Hunger Games) stars in her first role since The Hunger Games alongside Elisabeth Shue (Piranha 3D) in this edge-of-your-seat horror hit packed with heart-pounding thrills and gripping suspense. Locals claim that the girl mysteriously vanished after the incident, but as Elissa becomes close to the girls brother, Ryan, (Max Thieriot; Jumper) she learns that a dark and terrible secret still lurks within those walls and this sinister story of murder is far from over. Directed by Mark Tonderai (Dog Eat Dog), and produced by Peter Block (Saw I- VI), this horror thriller will have you taking a closer look at your next door neighbour for weeks to come. See if you can solve the mystery when THE HOUSE AT THE END OF THE STREET is released on Blu-ray, DVD and digital download on 28 January 2013 courtesy of Momentum Pictures. Extras include a behind the scenes feature, which contains interviews with Jennifer Lawrence. Checkout the trailer for the new horror/thriller "Stoker", which is released to UK cinemas 1st March from Fox Searchlight pictures. Directed by Chan Wook Park (Oldboy), the film stars Nicole Kidman and Mia Wasikowska (Rogue). Coming to UK DVD and BD this February, from the mind of writer/director Jennifer Lynch comes the shocker that has stunned audiences worldwide: When he was 9 years old, Tim and his mother were abducted by taxi‐driving serial killer Bob (an intensely disturbing performance by Vincent D’Onofrio - Law and Order : Criminal Intent). Tim’s mother was murdered. Tim was kept as a chained slave, forced to bury the bodies of young women Bob drags home and keep scrapbooks of the crimes. Now a teenager, Tim (Eamon Farren) and Bob share a depraved father/son/protégé relationship. But who will ultimately sever the bond between ‘family’ and unimaginable horror? Jake Weber (Dawn of the Dead 2004), Evan Bird (“The Killing”) and Julia Ormond (THE CURIOUS CASE OF BENJAMIN BUTTON, TVs “Mad Men”) co‐star in what critics are calling one of the most controversial and uncompromising thrillers of our time. The film is released to UK disc February 4th and contains alternate scenes as extreas. The Horror Channel celebrates the pen behind the poison with FROM PAGE TO SCREAM – a season of films with literary origins from some of the most talented authors in the genre: Clive Barker, Stephen King, Jack Ketchum and Tony Burgess. this February, Saturdays, Feb 2 – Feb 23, 10.55pm. First in the series is THE LOST (2006) – a dark horror thriller directed by Chris Sivertson. Originally a novel written by Jack Ketchum, it follows the 19 year-old womanising sociopath Ray Pye (played by Marc Senter). Pye is a charismatic murderer on the edge of sanity who meets his match when Katherine Wallace (played by Robin Sydney) strolls into town. A season of book based horror would not be complete without an entry from master of the macabre Stephen King. His novella RIDING THE BULLET (2004) became a huge hit when it was launched as the first mass market electronic book in 2000. The film version stars David Arquette, Barbara Hershey and Jonathan Jackson as the deadly stranger. Next in the season is PONTYPOOL (2008), a zombie film with a difference. Based on the book by Tony Burgess this is a chilling tale set in the small town of Pontypool, Ontario about a zombie infection spread by human speech. Directed by Bruce McDonald, this psychological horror thriller stars Stephen McHattie as a radio shock jock. The final film in the season is the premiere of DREAD (2009), from Clive Barker, the man who gave us the classic Hellraiser – and now more of his short stories and novels are making it to the big screen. The film stars Twilight vampire Jackson Rathbone but Dread is not for fans of fluffy vampire romance – it is psychologically brutal and will cut close to the bone for many viewers. 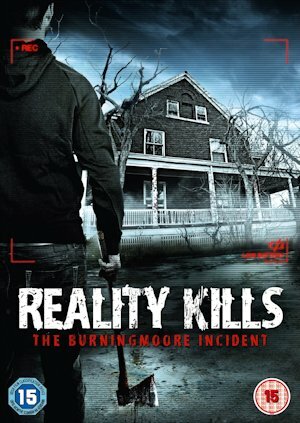 Reality Kills on UK DVD this March!!!! Director Jonathan Williams got in touch recently to tell us about his new film "Reality Kills : The Burningmore Incident", which comes to UK DVD this March. Reality TV turns deadly when a construction team move in to clear an abandoned building, which was the setting of a series of brutal murders years earlier. They are followed around by a TV film crew, who are there to film their work as part of a new reality TV show about home makeovers. But as it turns out, the building isn't so empty and abandoned as they first thought, and as night falls, the house becomes a brutal killing ground as the workers fall prey to a deranged killer, whilst the crews cameras capture everything. Filmed in Long Island, New York. The film stars Geoff Tate, the lead singer from Queensryche, who makes his feature film debut in this. Sony pictures kindly sent me a copy of their new horror comedy "Grabbers", by director Jon Wright, to take a look at. So not wishing to disappoint, here’s my review. A Meteor that crashes down in the ocean marks the start of a series of bizarre disappearances from around the nearby island of Erin. The boozed up local policeman, Ciaran (Richard Coyle) and his new assistant Lisa (Ruth Bradley) investigate, but fail to find any bodies. 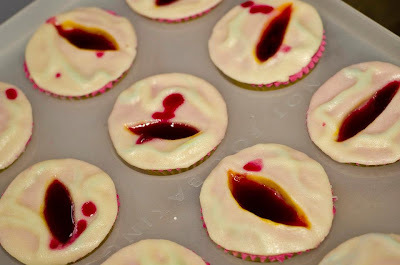 Though they do turn up and awful lot of heads. When a strange tentacled creature gets captured by a local fishermen, they realise its the start of an alien invasion and the island is now under siege. Fortunately, it turns out these creatures are adversely affected by alcohol, so as the creatures prepare to attack, the locals head for the bar for a drinking frenzy the likes of which has never been seen. 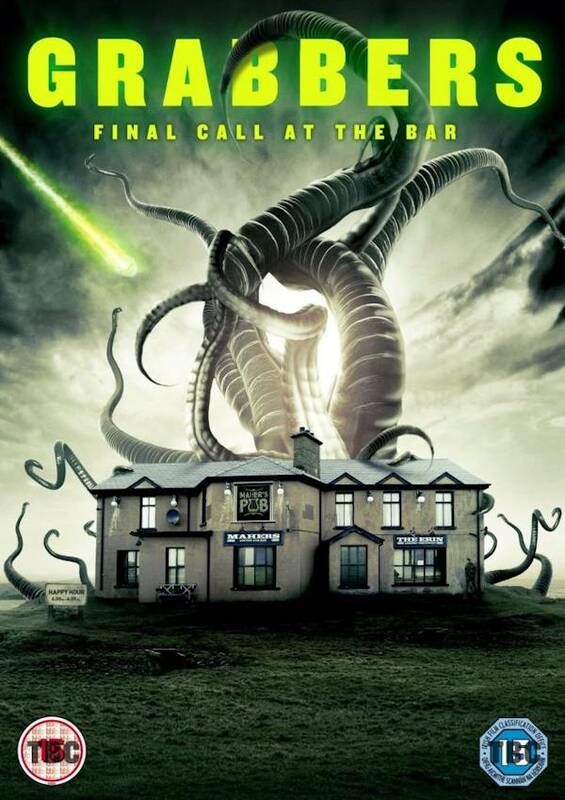 Imagine “Night of the Living Dead”, but set in a pub instead of a farmhouse, and with Cthulu creatures instead of zombies and throw in a lot of jokes about the Irish’s love of drink, and you have “Grabbers”. 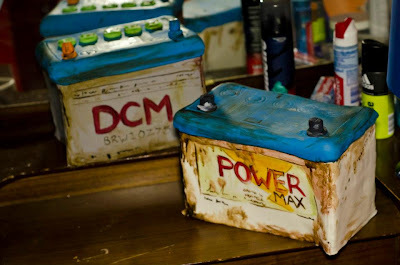 If you enjoyed “Shaun of the Dead”, you should like this. The film is already out on UK DVD and Blu-Ray and comes with filmmakers commentary track, an interview with Director Jon Wright, a behind the scenes feature, a selection of outtakes and a photo gallery as extras. 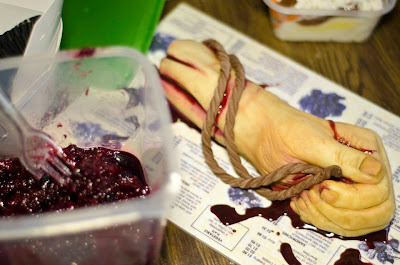 OK, this has got to be one of THE weirdest promotions for the release of a horror film that I've ever seen. To promote the release of "The Helpers", which hits UK DVD Jan 21st from Koch Media, they teamed up with Miss Cakehead to create edible horror scenes from the film. 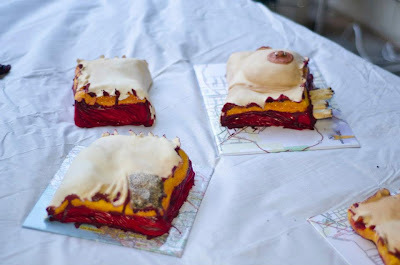 The event took place on January the 17th at an address in Bethnal Green Road London and consisted of cakes that looked like severed heads, severed hands made of marzipan and batteries made from Gingerbread. The food was free to everyone attending the press event, IF they could stomach it. Yes this is a cake, its Lemon Drizzle flavoured apparently. This bloodied remote control and half eaten Pizza were actually cookies. 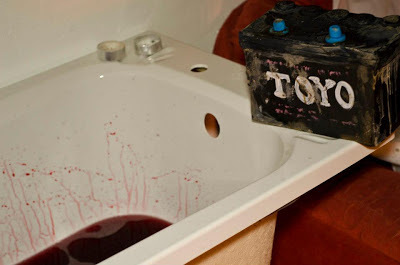 The bloody bath was some sort of cocktail mixture, the battery was made of Gingerbread. 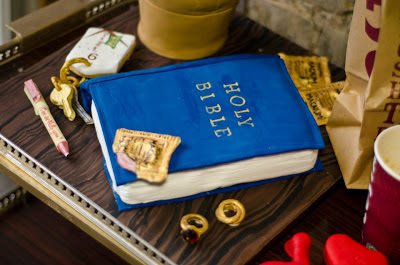 No redneck motel would be complete without a bedside bible, this entire bedside table is made from cake and biscuits. 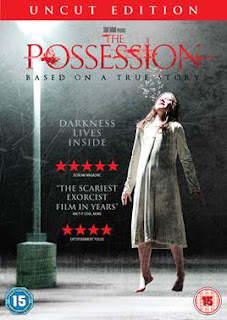 “The Possession” comes to UK DVD and BD this month and Lionsgate were nice enough to send me a review copy to take a look at. Divorcee, Clyde Benneck (Jeffrey Dean Morgen – Watchmen) buys an antique wooden box at a yard sale for his younger daughter, Em. But shortly after doing so, he begins to notice a change in her. She spends increasing amounts of time alone in her room, starts having violent outbursts and is constantly being reprimanded at school for her behaviour. Then when she claims someone in the box is talking to her, Clyde and his former Partner Stephanie (Kyra Sedgwick – TVs Closer) suspect its not just their divorce that’s the cause of her recent behaviour. Particularly when they find that anybody who comes between Em and her box suffers a grisly fate. Based on a true story, “The Possesion” is the latest release from producer Sam Raimi (of “Evil Dead” fame) and is directed by Ole Bornedal (Nightwatch) . 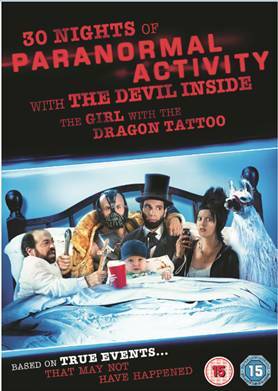 If you liked “The Exorcist” or the “Amityville Horror”, then you should enjoy this. The disc contains the uncut version of the film, featuring extended scenes that were trimmed for the theatrical release. Extras wise, it has 2x separate audio commentary tracks, 1 with director Ole Bornedal and 1 with Writers Juliet Snowdon and Stiels White, and there's a “History of the Dybbuk box” feature, which shows the true story of the real incidents that inspired the film. The film is released to UK DVD and Blu-Ray January 21st from Lionsgate films. "Last House on the Left" actor Fred Lincoln Dies. It is being reported on various web sites that exploitation film actor, turned 'adult' movie director, Fred J Lincoln (left) has passed away, following a short illness, at the age of 75. Lincoln is probably best know to horror fans for playing Fred "Weasel" Podowski in the 1972 cult movie "Last House on the Left" alongside David Hess. He went on to carve a career for himself as a director in the "adult" film industry, notching up in excess of 300 titles. Lincoln never had much love for "Last House on the Left", as those who have listened to the US DVD commentary will attest, but did begrudgingly accept its popularity and would often appear at conventions alongside its main star David Hess, who played Krug Stillo (Hess himself passed away in 2011). News first started circulating on Thursday when several acquaintences started posting messages of condolence on Twitter. His daughter Angelica later confirmed of his passing, saying that he had been unwell for some time. From Friday Feb 24 to Saturday Feb 25, the UK’s favourite horror fantasy festival returns to its second home at the Glasgow Film Festival for the 8th year with an impressive slate of the hottest new horror films. Some of the genre’s biggest hitters take centre-stage this year, with UK premieres for Eli Roth’s re-calibrated Disaster Movie, AFTERSHOCK, Neil Jordon’s surreal vampire myth, BYZANTIUM and Rob Zombie’s darkest horror yet, THE LORDS OF SALEM. Plus the mother of all anthology movies THE ABCs OF DEATH, receives its first showing in the UK and there’s the chance to sample red-hot Chilean grindhouse in BRING ME THE HEAD OF THE MACHINE GUN WOMAN. Then there is the creepiest found-footage feature of them all - THE BAY, the best US documentary of the season AMERICAN DREAM and the Scottish-based SAWNEY: FLESH OF MAN, which was a surprise hit at the August FrightFest event., Also, there are UK prems for zombie splatter-fest DETENTION OF THE DEAD and the newly restored edition of Mario Bava’s classic horror anthology BLACK SABBATH. Finally, FrightFest is proud to present Norwegian TV sensation, HELLFJORD, in which seven of Norway’s finest directors team up for writer/producer Tommy (DEAD SNOW) Wirkola’s Nordic Noir fusion of HOT FUZZ and TWIN PEAKS. All seven episodes will be screened as supporting features to the main FrightFest line-up with the last two parts showing as a stand-alone event. This year’s guest line-up is headed by the Guru of Gore himself, Eli Roth and legendary director Neil Jordon, who'll be accompanied by actress Gemma Arterton. Also attending are directors Simon Rumley, Lee Hardcastle, Jake West, Patrik Syversen and director Ricky Wood, writer Richard Wood. With surprises on screen and off, and the festival’s unique community feeling, FrightFest at the GFF has now become a must-attend occasion on the horror fantasy fan's calendar. 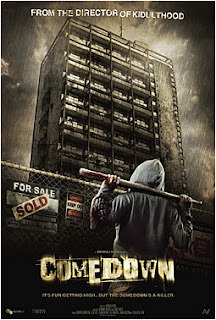 Managed to get a sneak peek at the new urban horror “Comedown”, which hits UK video shelves in January from Studio Canal. The story takes place on a run down housing estate in London, and revolves around young gang member named Lloyd (Jacob Anderson - Adulthood), who’s recently come out of jail and is looking to make a fresh start with his girlfriend Jemma (Sophie Stuckley – The Woman in Black), who’s pregnant with his child. When one of the local drug dealers asks him and his friends to break into a disused towerblock and put up an ariel for his pirate radio station on the roof, he’s initially reluctant. But eventually agrees after being promised a substantial amount of cash in return. But, after setting the radio ariel up, they soon become aware that they’re not alone in the old building when members of the group start vanishing. Initially they suspect one of the rival gangs may have followed them in and are trying to mess with them. But when the dead bodies start piling up, they realise there’s something more sinister going on. With their numbers dwindling, getting back out of the tower block proves no easy task, as they find stairways blocked off, lift shafts sealed and the exits locked, as they feverishly poke around in the dark looking for another way out, whilst trying to fend of vicious attacks from an unseen assailant. Directed by Menhaj Huda, who also did Kidulthood, the film has that same sort-of gritty, urban, inner city feel to it. 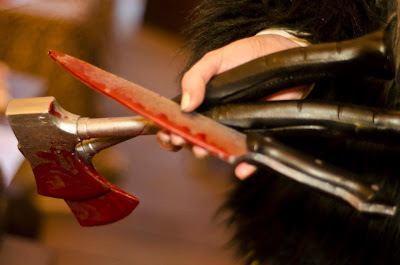 But mixes in elements of the “Saw” films and various slasher movies. In fact it was almost like an Eli Roth version of “Phantom of the Opera”, but set in a tower block. The film did suffer slightly owing to its low budget, which produced a few shaky CGI effects near the end, but putting that aside, if you like gritty gang films and slasher movies, you should enjoy it. The film is released to UK DVD and Blu-Ray on the 28th January. Extras on the discs include a “Making-of” feature and interviews with the cast and crew. Production Company Movie Mogul Ltd (PANIC BUTTON), have signed up US actor Doug Jones in their up-coming production of sci-fi action horror WE ARE MONSTERS. 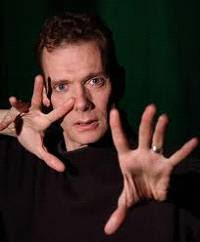 Jones, a former contortionist, who is perhaps best known in the UK for his roles in the Hellboy films and Pan’s Labyrinth, will play the part of the ‘monstrously evil’ Sir Daniel Southall. Also attached to the film, which goes into pre-production shortly is monster effects specialist Neill Gorton (FROM HELL); Stunt Co-ordinator Andy Bennett (THE WOMAN IN BLACK) and Storyboard artist Ben Oliver (JUDGE DREDD, X-MEN). Keen to involve the public, WE ARE MONSTERS producer, director and co-writer John Shackleton, has turned to crowd-funding platform Kickstarter in what is being dubbed the most ambitious UK Kickstarter film project yet. Their campaign runs until Feb 11th and has already reached 30% of their £100k funding goal. Prepare to scream with laughter this Valentine's Day as the found footage parody "30 Nights Of Paranormal Activity With The Devil Inside The Girl With The Dragon Tattoo" hits UK DVD this February. This hilarious spoof sees Dana (Kathryn Fiore : Hatchet II) begin to battle her demons and try to move on with her life as she moves back into her haunted childhood home. Dana's past is coloured by the death of her father during an exorcism following his slaughter of the entire cast of The Artist, but will returning to the scene of the crime help her to battle the demons that haunt her family? "30 Nights Of Paranormal Activity" is the first big horror-comedy parody in over six years and just what fans have been waiting for to fill those dark winter nights. Hilariously lampooning several of the biggest horror films of recent years, this is one release guaranteed to leave you laughing your way to the edge of your seat when it comes to DVD on 11 February, courtesy of Twentieth Century Fox Home Entertainment. Terror has a new name: Fear Itself! 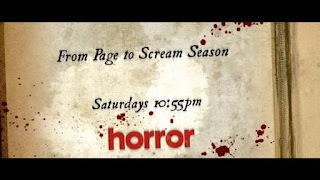 A 13-episode suspense and horror anthology series. Fear Itself takes horror to shocking new heights with its mix of mind-bending stories, spine-tingling chills, and top Hollywood talent including acclaimed directors John Landis (An American Werewolf in London), Brad Anderson (TVs The Wire, The Machinist) and Darren Lynn Bousman (Saw 2-4, Repo! The Genetic Opera) and starring Elisabeth Moss (TVs Mad Men), Brandon Routh (Super Man Returns) and Eric Roberts (The Dark Knight, The Expendables). Kyle Kuchta has a self-proclaimed obsession with horror films. Upon discovering the phenomenon of horror conventions, the young genre fanatic finally felt like a part of a community. He connected with like-minded individuals with whom he shares his love for the genre. Now he's traveling to conventions all across America to find out why horror brings people together. Fantasm began as aspiring filmmaker Kyle Kuchta's thesis in pursuit of his film degree from Syracuse University's College of Visual and Performing Arts. "I wanted to do a documentary on horror conventions," he explains, "because I didn't feel as if a lot of people knew about them or the loving community that they are a part of." Production will continue in March at the upcoming Monster-Mania in Cherry Hill, NJ and HorrorHound Weekend in Cincinnati, OH. 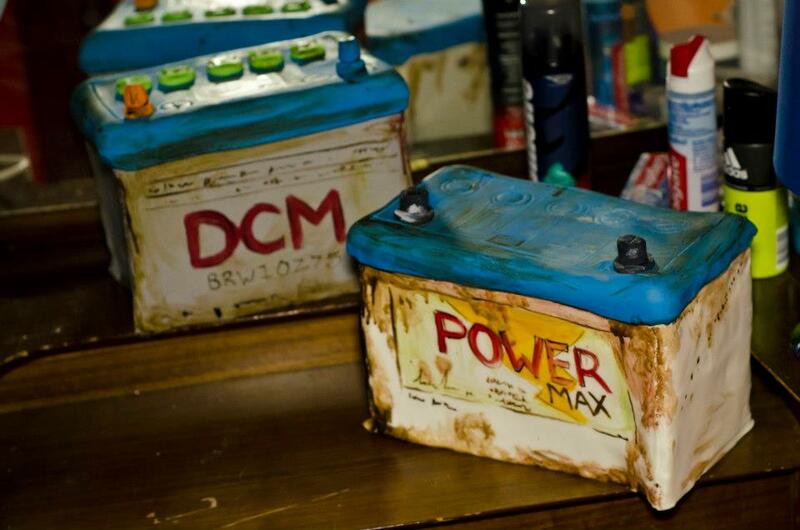 Filming has previously taken place at such fan-favorite conventions as Monster-Mania (Hunt Valley, MD), Rock and Shock (Worcester, MA), Spooky Empire (Orlando, FL) and HorrorHound Weekend (Indianapolis, IL). The documentary is expected to be completed in May 2013. 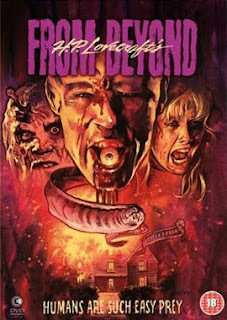 From the team that brought you the gloriously perverse Re-Animator comes the equally surreal horror classic From Beyond, which makes its long-awaited debut on Blu-ray thanks to Second Sight Films. An obsessive scientist Dr. Pretorius (Ted Sorel) and his assistant (Jeffrey Combs) have invented ‘The Resonator’, a device designed to stimulate the brain’s pineal gland and expand the powers of the mind. The machine gives them more than they bargained for however when a parallel universe inhabited by slimy creatures ready to prey on humans reveals itself. Pretorious meets a sticky end, only to return as a grotesque, deformed being and all manner of depravity ensues. Based on another H.P. Lovecraft adaptation this deranged gorefest is directed by Stuart Gordon (Castle Freak) and produced by horror supremo Brian Yuzna (Society). It comes to Blu-ray in stunning limited edition packaging, along with a DVD release on 25 February. 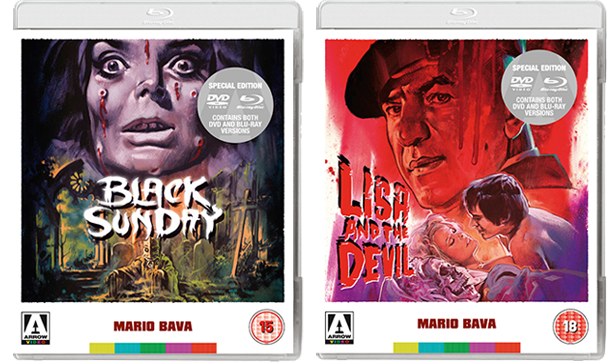 Arrow Video is pleased to announce two deliciously horrific new deluxe edition Dual Format Blu-ray & DVD releases from the one and only godfather of Italian horror, MARIO BAVA. This is the very first time that these two staples of Italian cult cinema will be available on Blu-ray in the UK. Strictly limited Slipbox editions of each title (only 1000 will be made) are also available exclusively from the Arrow webstore. The Slipbox editions will feature a 4-panel reversible sleeve, comprised of 3 original posters and a newly commissioned artwork by British Horror illustrator Graham “Evil Dead” Humphreys. Mario Bava is widely credited as the man who kick-started the golden age of Italian horror. Never before had audiences around the world witnessed such slick and stylish production, combined with terrifying, supernatural imagery. 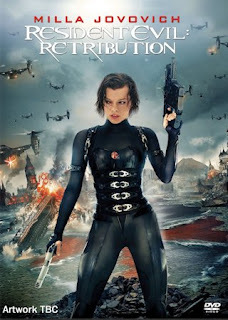 Milla Jovovich returns as Alice in the action-packed and adrenaline charged RESIDENT EVIL: RETRIBUTION, smashing onto 3D Blu-ray, standard Blu-ray and DVD later this month from Sony Pictures Home Entertainment. In this fifth instalment of the franchise, Alice is captured by the Umbrella Corporation and, with the help of her friends, must escape to save the human race. The film also stars Michelle Rodriguez (Battle: Los Angeles), Sienna Guillory (The Wicked Within), Kevin Durand (TV’s “Lost”), and Boris Kodjoe (Surrogates), and features the popular game characters Leon S. Kennedy, Ada Wong, the Red Queen and Dr. Wesker. All 3 releases come with cast, director and producer commentaries, as well as outtakes and the featurette “Drop (Un)Dead: The Creatures,”. But the Blu-Ray releases contain additional exclusive special features not on the DVD. 2D version of the film Blu-ray feature film, Deleted & Extended Scenes, Six featurette, Project Alice: The Interactive Database, All of the Special Features from the DVD version. RESIDENT EVIL: RETRIBUTION is released to UK video shelves on January 28th, with a running time of 96 minutes on the 3D Blu-ray, 95 minutes for the 2D Blu-ray and 92 minutes on DVD and is rated 15. ANTIVIRAL marks the directorial debut of Brandon Cronenberg, son of legendary filmmaker David Cronenberg and is being released to select cinemas on 8 February and on DVD and digital download from 11 February. 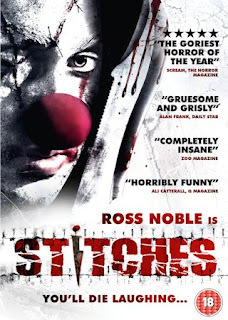 Ross Noble will have you in "Stitches" this March!!! Jaded Richard Grindle (Noble) is the sleaziest clown working the children’s party circuit in Ireland. 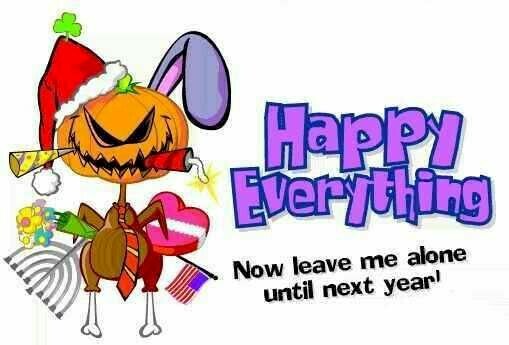 Arriving late to one birthday, his timing is off, the bratty kids a nightmare and a prank goes horribly wrong - he falls on a kitchen knife and goes to that Big Top in the sky. The film received its World Premiere at 2012’s Frightfest, winning TOTAL FILM’s “Best Death” award. See why when the DVD & Blu-ray hit shelves on 4th March 2013. Available on DVD, Blu-ray and download to own and rent this January, Lionsgate presents the original uncut version of THE POSSESSION featuring footage never before seen in cinemas! Clyde (Jeffrey Dean Morgan) and Stephanie Brenek (Kyra Sedgwick) see little cause for alarm when their youngest daughter Em becomes oddly obsessed with an antique wooden box she purchased at a yard sale. But as Em’s behavior becomes increasingly erratic, the couple fears the presence of a malevolent force in their midst, only to discover that the box was built to contain a dibbuk, a dislocated spirit that inhabits and ultimately devours its human host. Directed by Sam Raimi (The Evil Dead) and directed by Ole Bornedal (NIGHTWATCH), the film hits UK video shelves on January 21st. No details on what extras will be included on the discs, if any. Momentum Pictures are proud to present a one-off early screening of V/H/S where for one night only you can go back in time to the glory days of VHS! 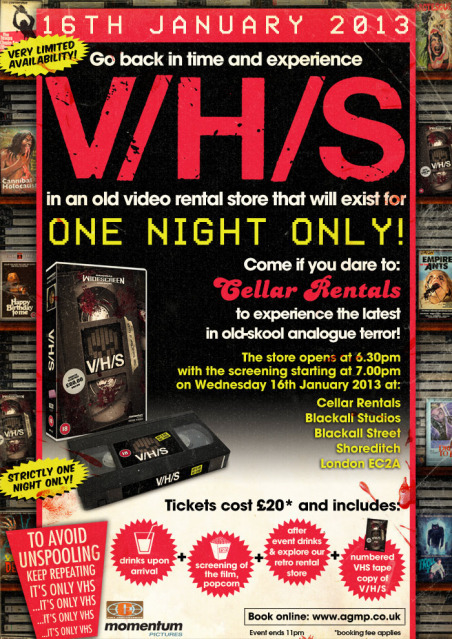 Come along on Wednesday 16th January at 6.30 at the one night only that ‘Cellar Rentals’ will exist at the Blackhall Studios in London for a pre-drink, followed by an exclusive screening of the film at 7pm complete with popcorn. Should you survive this portion you'll then be able to join us in our loving tribute to the days of VHS as we're building an old-skool rental store for one night only. Look through the covers, enjoy complimentary drinks and other fun items in this rare chance to go back to the heady days of choosing tapes. The best bit of all - you'll get to leave with a rental big box VHS tape of V/H/S! Only 300 exist and they're numbered and this will be the ONLY SURE WAY to get hold of one of these rare collectors items. In the movie a small group of misfit friends and petty crooks are hired by a mysterious man to break into a derelict suburban house with the sole purpose of finding and stealing a rare VHS videotape. 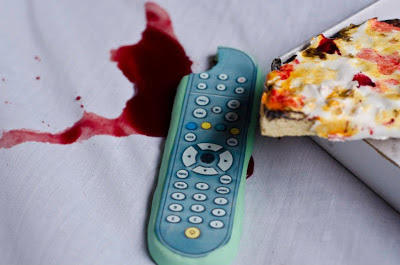 As they search through the tapes, playing them in turn, they are treated to a succession of graphic and apparently genuine video recordings, each one more shocking and bizarre than the last. To view the trailer on YouTube "Click Here"
Checkout the trailer for "Gangsters, Guns and Zombies", which hits UK DVD on the 7th of January, courtesy of Lionsgate films. Hammer, Icon Film Distribution and Lionsgate are proud to present a major event in British film history. 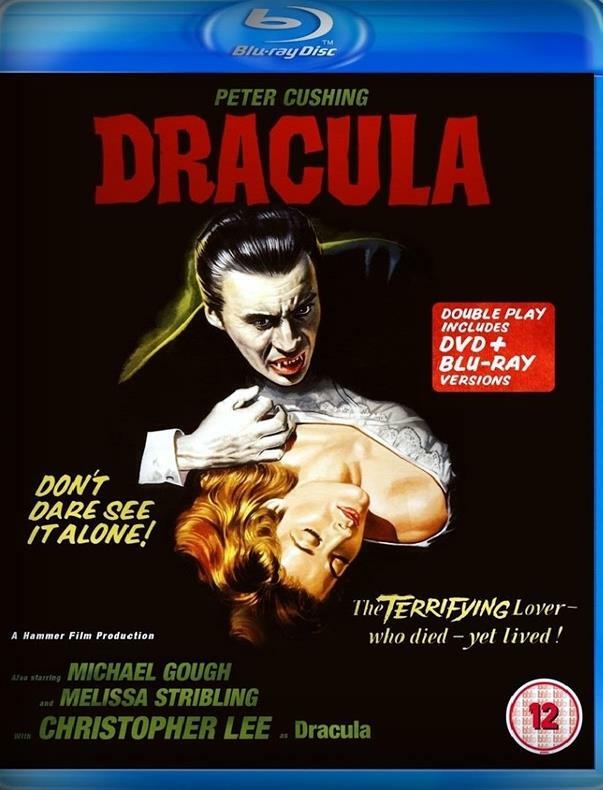 Terence Fisher's 1958 classic DRACULA, fully restored in High Definition and available on Blu-ray and DVD for the first time. Dr. Van Helsing, investigating the death of his friend Jonathan Harker concludes that Harker was the victim of a vampire. When Harker's fiancée, Lucy, becomes affected by the terrifying force and hypnotic power of Count Dracula, Van Helsing releases her tortured soul by driving a stake through her heart. But Dracula seeks revenge, targeting Lucy's beautiful sister-in-law, Mina. Van Helsing, now aided by Mina’s husband Arthur, swears to exorcise this evil forever by confronting the vile and depraved Count himself. 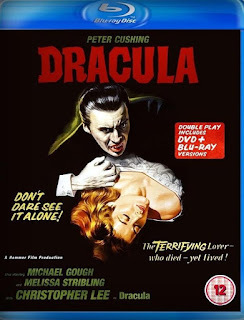 Available 18th March in the UK on 3-disc Double Play, the pack comprises1 x Blu-ray and 2 x DVD, the release also includes brand new featurettes, a new commentary track, multiple bonus extras and a stills show. 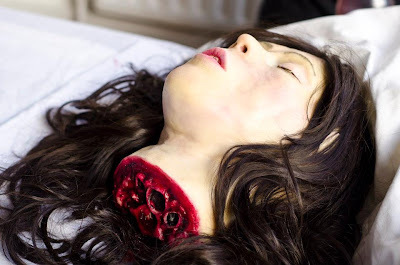 The "Realm of Horror's" Horror Films of the Year!!! My list of this years "Golden Chainsaw Award" winners.